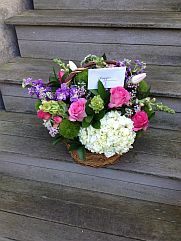 The Cottage Garden is a florist and garden design studio located in Edgartown on the island of Martha's Vineyard. The shop's owner, Sarah Stock, specializes in unusually beautiful floral designs for weddings and all occasions. 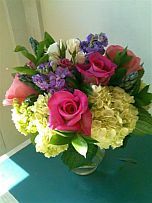 Exuberant and sumptuous seasonal arrangements are delivered daily, island-wide. Containers might include simple clear glass vases, tin pails, rustic baskets or you can discuss other choices from Sarah's varied selection. Punctuality, courtesy and meticulous attention to detail ensure that your sentiments will be beautifully conveyed. Serving Martha's Vineyard Island for over 25 years. Sarah's shop carries an interesting assortment of orchids, topiaries, dried flowers and florally related items. 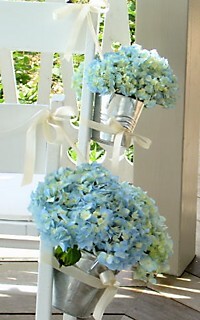 Sarah is also a designer of heavenly flower gardens! Copyright © 1999 The Cottage Garden. All Rights Reserved.